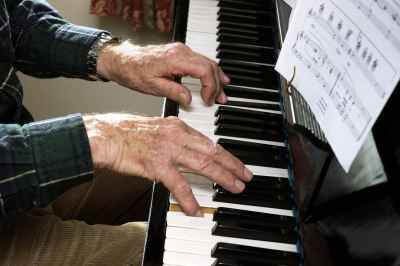 Music is good for your health – as is lifelong learning! Whatever stage you’re at in your life, career and development as a musician you’ll be supported by staff who specialise in online, distance and part-time learning in Music. Many people value their engagement with music as part of their free time, for relaxation and an alternative to the pressures of every-day life. Music engages the brain and the emotions, and is meaningful to people from all walks of life. Music therapy developed as a recognised discipline in the first half of the twe ntieth century, and since then much research has been undertaken into the scientific basis for music’s effects on our mental and physical health. Yet there is plenty still to understand. Does music really have the power to change the physical wiring of our brains or bodies? 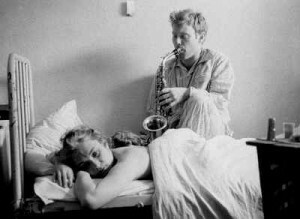 Does music have innate power, or is it reliant on our own experiences and connections made through listening or playing? 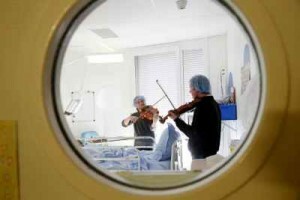 One of the most recent studies has suggested that music can help relieve pain and aid recovery after major surgery. In this case, it was patients’ own music that made the difference (you can find details of t he research here). In this case the music already had a specific meaning to the individual patient, and was chosen for its effect on the psychological well-being. In our third-level module, we look in detail at the different ways music has developed meanings, and the ways in which it acts on individuals and groups of people. This entry was posted in 10 reasons, Research, Uncategorized. Bookmark the permalink.